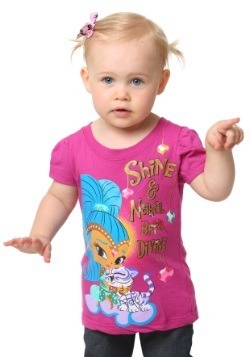 Shimmer and Shine time? You know it is! She'll love playing and having fun in this Shimmer & Shine Sisters Divine Girls T-Shirt. Playtime is going to be extra special, and when her imagination takes over, she'll be ready for a trip to Zahramay Falls. And you'll be ready to watch all the fun unfold right in your own home! 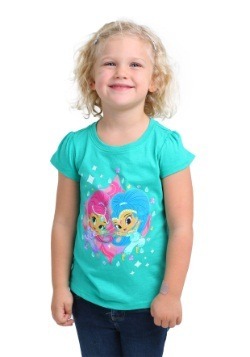 If this adorable t-shirt isn't enough to get her excited about her favorite show, then we don't know what it would take! 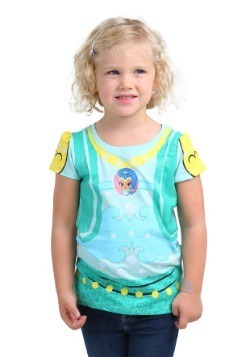 In toddler sizes 2T to 4T and girl's sizes 4 to 6X, we're sure to have a fit that's just right for your little princess. And with 100% cotton material and glitter accents, we think she's going to be the one who's shining! 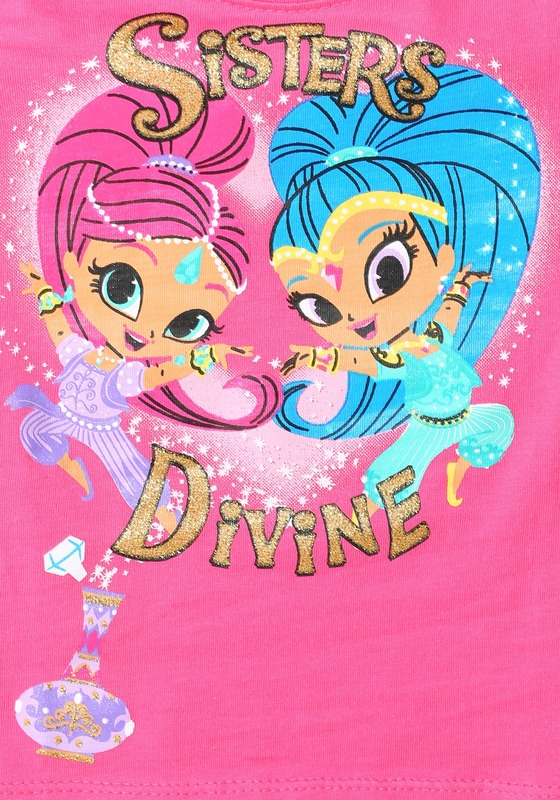 Nickelodeon officially licensed, this is the shirt to get her to let her show off the "Sisters Divine." Yup, genies rock! 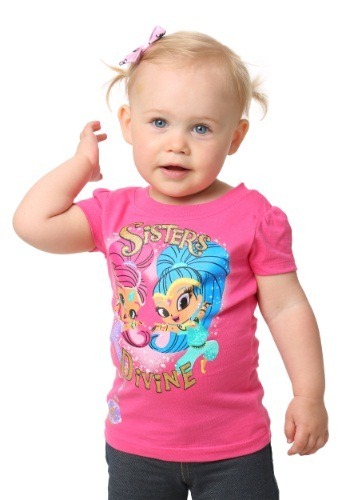 2T - $8.99 3T - $8.99 Only 8 left! 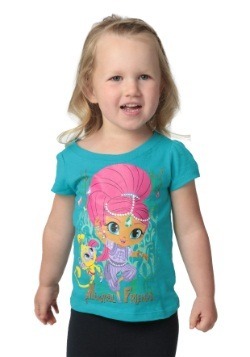 4T - $8.99 Only 1 left! Size 4 - $8.99 Only 1 left!